Earn up to $200 for each signup! 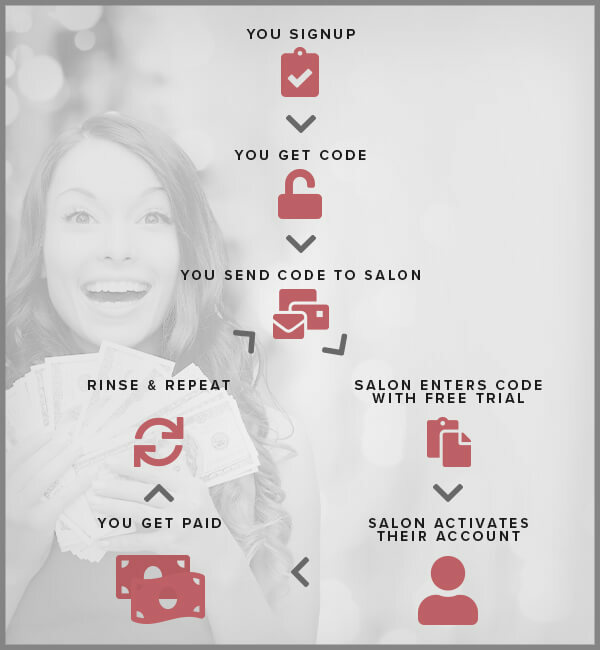 Whether you’re a current Rosy client, have connections with salon and spa owners, or just a fan, you can recommend Rosy Salon Software to businesses and earn some money along the way! For each new account that activates, you will receive $200 ($100 for businesses with two providers or less). Payments are processed after the new account has been active for six weeks and is in good standing. Simple as that! We greatly appreciate your referrals and interest in helping others grow their business with Rosy! Fill out the form below with your contact information, then we will email you a Referral Code that you can share with future Rosy businesses. They will need to enter this Code when they start their Free Trial.